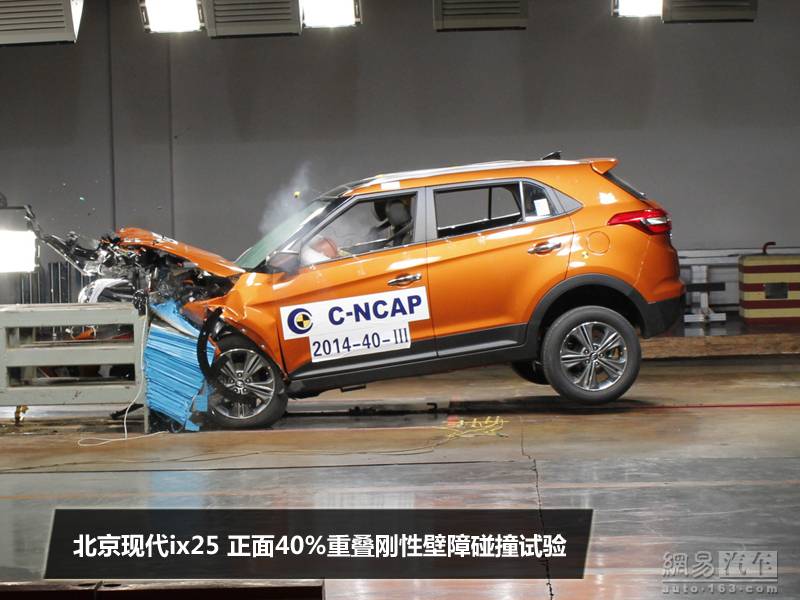 Hyundai's compact SUV undergoes 4 crash tests in China. 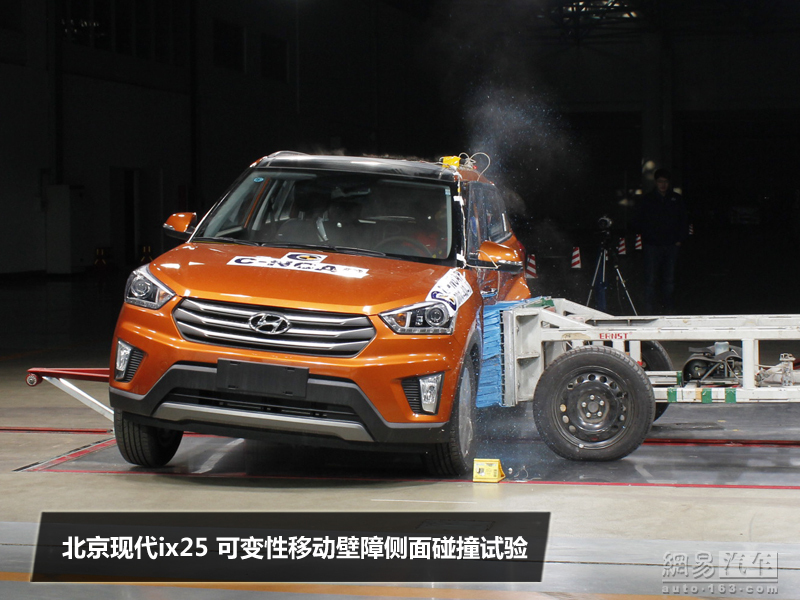 The Hyundai ix25 compact SUV underwent its crash test in China recently. Tested under the C-NCAP (China New Car Assessment Program), the ix25 was awarded 5/5 stars. The car was subjected to a total of four tests: 100 percent overlap front crash, side impact, 40 percent overlap front crash and whiplash. The 40 percent overlap test was done at 64 km/h. The 100 percent overlap frontal crash test was carried out at a speed of 50 km/h. Out of a maximum possible score of 18, the ix25 scored 15.89 points here. The side impact test was carried out with a moving deformable barrier traveling at a speed of 50-51 km/h. The center of the barrier is programmed to hit the center line of the car. Based on images, it seems the test car here was the base variant without side or curtain airbags, yet the ix25 scored 18/18 points. The 40 percent overlap frontal impact test was carried out a speed of 64 km/h, identical to testing procedures of Global NCAP. The ix25 scored 14.11/18 points in this test. Finally, the whiplash test saw the driver's seat and restraint system perform at a speed of 15.65 km/h, and the ix25 scored a 100 percent score here. The ix25 used for tests did not feature side or curtain airbags. The ix25 is expected to launch in India this year, and has already started testing. Hyundai Motor India Limited (HMIL) has reportedly invested INR 1,000 Crore in the project.